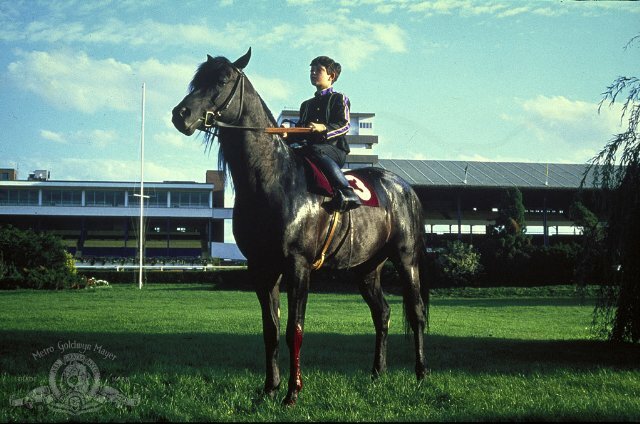 "The Black Stallion" (1979), directed by Carroll Ballard, is one of the most famous films that are intended mainly for children. It features warm, sensitive performances from Mickey Rooney, Teri Garr, and the young male lead, Kelly Reno. 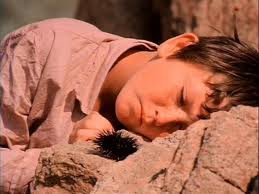 Kelly Reno in "The Black Stallion." The plot of "The Black Stallion" is straightforward. While traveling with his father (Hoyt Axton), young Alec (Reno) becomes fascinated by a mysterious Arabian stallion that is brought on board and stabled in the ship he is sailing on. 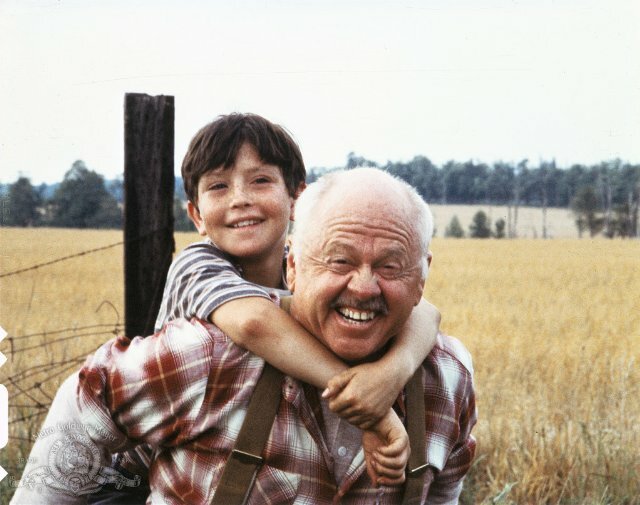 Mickey Rooney carrying Kelly Reno in "The Black Stallion." When the ship tragically sinks, Alec and the horse survive. Unfortunately, they are stranded together on a deserted island. Alec befriends the horse. Ultimately, the two are rescued and Alec returns home to his mother (Garr). 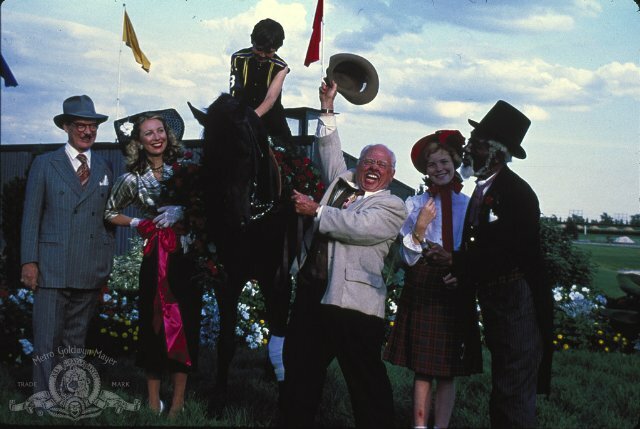 Mickey Rooney got his best reviews in decades for "The Black Stallion." There, Alec meets Henry Dailey (Rooney), a once successful trainer. Together, they begin training the horse to race against the fastest ones in the world. 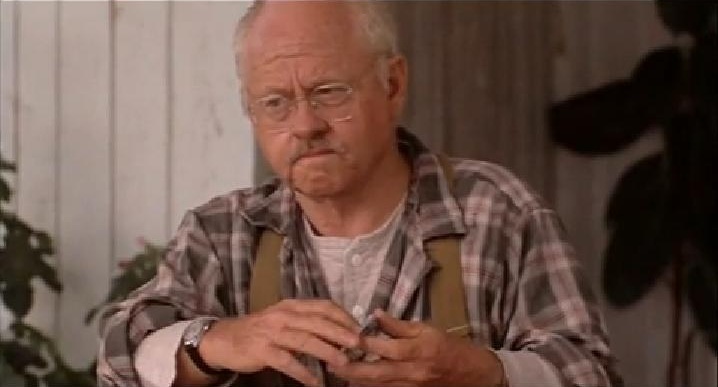 Mickey Rooney as the irascible trainer in "The Black Stallion." This is a heartwarming film suitable for youngsters. There are a few scary moments, such as one involving a confrontation between Alec and a cobra, but they pass quickly. Kelly Reno on the black stallion. Many films involving children and horses, such as "National Velvet," involve females as the person who cares for and bonds with them. This film is notable for featuring a young boy in that role. Reno only did a few more films, then retired from acting after a tragic accident. He shines here, though, in his most notable performance. Trouble afoot on the ship in "The Black Stallion"! The adults, aside from Rooney (nominated for Best Supporting Actor), have little to do in this picture. The Garr and Axton characters aren't even named. That doesn't matter - it is a film about a boy, his journey to learn more about life, and his horse. 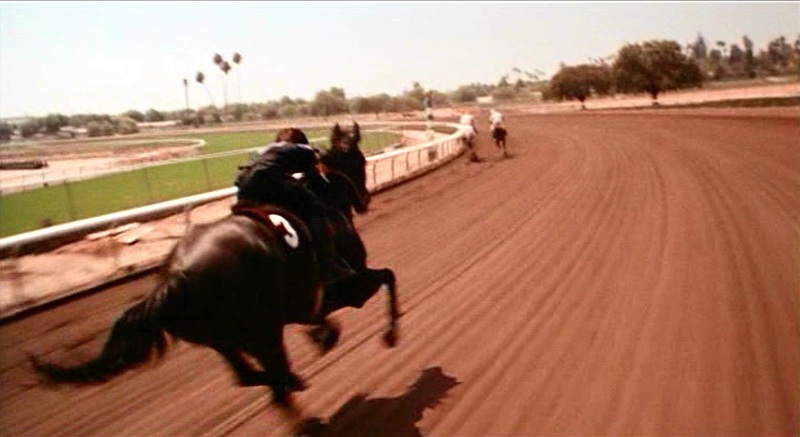 The climactic race in "The Black Stallion" is very well shot. Who wins the big race? Do you even have to ask? It's not a film to watch for the answer to that kind of question. It is about the enjoyment of being around people about whom you will care for a brief spell. Do you think the black stallion won, or what? "The Black Stallion" is recommended for children of all ages. It is like a moment caught frozen in time, and should be cherished as such. 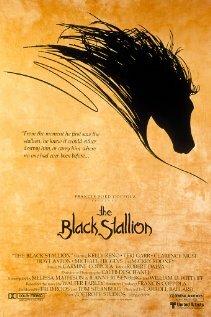 If you want a feel-good film that will appeal to everyone, "The Black Stallion" is an outstanding choice. There is a sequel from 1983, but only Kelly Reno returns and it does not measure up to the original "The Black Stallion."